In a previous blog post, we looked at the business case for transitioning to Smart Manufacturing. In other words, implementing technologies, processes, procedures, and methodologies that bring you closer to becoming a Smart Factory. In this post, we’ll look at the practicalities of making the transition. What should you do first? How do you ensure you don’t take missteps? How do you progress without diverting significant resources? Can you get a short-term and medium-term return on investment as well as a long-term return? A combination of the three, depending on the status of your existing operations, is often the best approach to keep costs under control, maximise return on investment, and ensure the transition is as smooth as possible, particularly in relation to product output and customer impact. Strategically chosen trial projects can be a useful approach in a wide range of situations, not just at the start of your Smart Manufacturing journey. With a trial project, you can ringfence costs and structure the parameters of the work as tightly as you want in order to develop and learn the right path forward for your organisation. This will let you identify risks and areas for improvement, and it will demonstrate where you may encounter resistance, bottlenecks, or barriers when you start to scale up. In addition, a trial project will give you a better indication of the real return on investment you can achieve from transitioning to Smart Manufacturing. 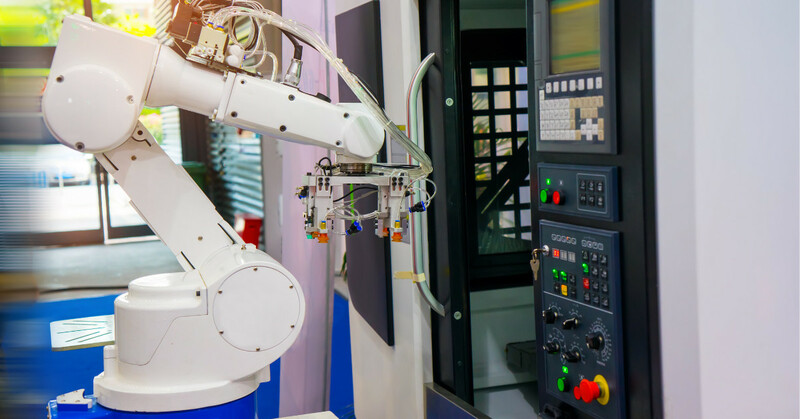 Whether you go with the trial project option or not, adopting a structured, incremental approach to transitioning to Smart Manufacturing is almost always the best option. How far you go and how quickly depends on your current circumstances and immediate future plans. For example, it might save you in the long-run if you increase the scale of a project that introduces Smart Manufacturing concepts, processes, or technologies if the project requires a considerable investment in new equipment. It’s important you don’t go too far too fast, however. Upgrading all your legacy systems in a short period of time is rarely the best option, for example. Rather than a big bang investment, the more successful approach is usually a more carefully planned evolution. The most obvious reason for this is the fact it might not be practical, for financial, regulatory or other business reasons, to upgrade all legacy systems in a short space of time. Furthermore, it might not even be necessary, i.e. you might not need to upgrade all your legacy systems to achieve your Smart Manufacturing goals. It is also possible to explore and analyse the implementation of Smart Manufacturing processes and technologies in your facility using simulation tools. One of the most effective is using digital twins. By creating digital twins of your current equipment and processes, you can model various options and scenarios to identify the best approach, helping you decide the next steps to becoming a Smart Factory. Smart Manufacturing may be a buzzword – one of many in the Industry 4.0 pantheon. It’s an important opportunity to all manufacturing businesses, however, particularly those that produce regulated products like pharmaceuticals and medical devices. Starting, or continuing, the transition in your business is essential to your future. Charlie is SL Control’s Factory Automation Manager. He has over 24 years' industrial experience including in the Consumer (Electronics) and Medical Device industries. He has extensive experience partnering with R&D organisations in the design, development and procurement of high-volume automation requirements to support manufacturing capacity and NPIs. Charlie’s team specialises in Industry 4.0 Digital Maturity Assessments and developing technical roadmaps and value propositions.